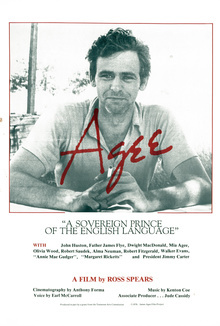 Agee is the story of James Agee, one of the most talented writers of our time. A quintessentially American writer, James Agee was driven by passions for work, friends, films, and ideas. Agee established a reputation as both a warm-hearted genius and as "a sovereign prince of the English language."